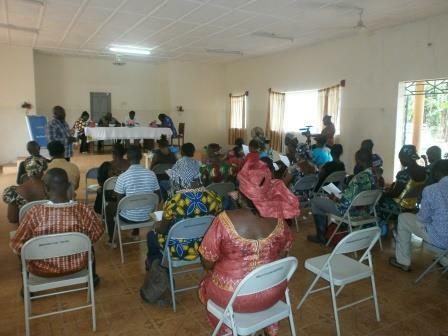 As a complement to the government-led efforts in the fight against Ebola in Sierra Leone, Fambul Tok-International, in partnership with nine National NGOs and over 30 community based organizations, has formed the Bridging Communities Network (BCN) to facilitate a community-led response to the Ebola situation in the country. The network will coordinate at national, district, and community levels to meet the urgent need of stopping the spread of the virus. Furthermore, BCN will strengthen citizen and community capacity for crisis resilience for the future. BCN has started regional consultations in the country to solicit input from organizations and networks with direct presence in communities. BCN seeks broad based consensus building and ownership among network members on issues such as community confidence building, thrust, engagement, and the facilitation of stakeholder mapping in existing organizations at all levels. Formally launching BCN consultations in Port Loko district on November 26, 2014, Fambul Tok International-Sierra Leone Executive Director said the network was formed to facilitate a community-led response to ebola that is now ravaging the country. Caulker said Sierra Leoneans should start finding solutions to their own problems rather waiting for, or relying on, only external leadership in responding to crises. Cualker stated that the ten national NGOs in the network will provide leadership in different regions, adding that as civil society groups, they are mobilising to provide collective leadership from within Sierra Leone, based on the understanding that the country’s social capital is their greatest resource. The network will work on not only to stop the spread of ebola, but also how to deal with its long term impact. The Executive Director went on to state that participants would be drawn from various chiefdoms, so that they could be involved in the process to ensure ownership. 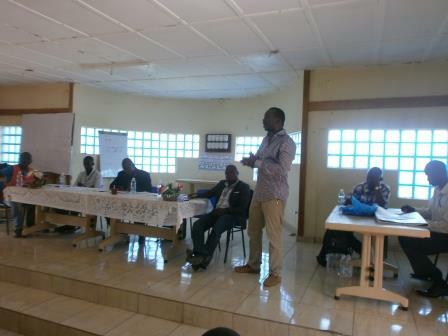 The Executive Director, Ngolo Katta, of the Centre for the Coordination of Youth Activities (CCYA), a lead organization in Port Loko, said it is always important to empower communities, because they have answers to their own problems. He said BCN will work with communities to close the communication gap that exist. Katta lamented over the non-availability of vital information in communities, adding that there are lots of challenges in terms of getting feedback when someone falls ill with Ebola and taken out of the community. During the meeting, many issues were raised. One of them the lack of access to information for relatives of Ebola victims. Participants were given smart mobile phone with the ability to directly contact the secretariat of the BCN. 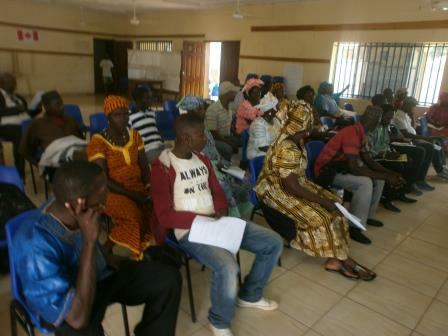 Meanwhile consultations have been concluded in Bombali, Koinadugu, and Moyamba districts where participants raised many issues and called for the timely intervention of BCN. Participants were also trained and provided with smart phones for their various chiefdoms. Consultations in other district continue. (A) To facilitate civil society participation and engagements in the governance and decision making platforms of the National Ebola Response Centre (NERC). (C) To support communities’ mobilization action efforts in dealing with perceived resistance against Ebola, such as community concerns and trust about prescribed control measures at the community level. Fambul Tok is catalyzing this initiative through providing the seed funding for its formative phase, housing the initial BCN, and providing the secretariat for the network’s activities. As BCN grows, it will spin off from Fambul Tok as an independent networking organization. Members of the network include: Fambul Tok International-Sierra Leone, Society Learning and Yearning for Equal Opportunities (SLYEO), Advocacy Movement Network AMNET), Community Initiative and Development Organization (CIDO), Centre for the Coordination of Youth Activities (CCYA), Centre for Accountability and Rule of Law(CARL), Movement for the Restoration of Democracy (MRD), Defense for Children International (DCI), Campaign for Good Governance(CGG) and Media Foundation for Peace and Development. This entry was posted in Ebola response, From the Ground: Program Updates from Sierra Leone, Organization and tagged BCN consultations. Bookmark the permalink.